Yours could be our next and best project. That's how each project is produced. 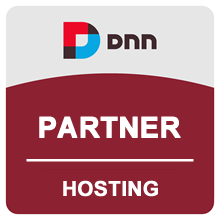 We're a full-service web design, development and hosting company that specializes in the DNN and WordPress web application platforms. Each project is delivered with a suite of software applications that are customized just for you and can really take you places. Building business-class sites and applications that serve your entire audience. Responsive, mobile-first web applications that will engage your frontside visitors, backside admins, and everyone else in between. Using software and technologies that won't leave you stranded. Best-in-class suites of fully supported extensions & plugins that remove the barriers between you and a great website. Served up on rock solid systems via 100% SSL. Show your customers you care by giving them an online experience that's fully engaging and fully secure. Delivering a solution your team can work with that your users will truly enjoy. We Have the Know-How. We're a full-service web design, development and hosting company that's been serving midsize businesses and organizations for over 20 years. You'll Gain Peace of Mind. 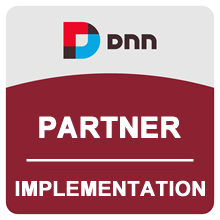 We specialize in delivering our solutions on the DNN and WordPress platforms, using tools and technologies that won't leave you stranded. We Make Your Life Easy. We are easy to do business with. Whether your needs involve website deign, website development or website hosting, we would be thrilled to offer you a competitive bid for your business. "It's been a VERY busy season. Online sales are up 60% from a year ago." Think of us as website renovation experts. We love a good challenge, enjoy getting our hands dirty, and have the expertise to transform your website into a winner. And, along the way we'll communicate in language that everyone on your team understands. Isn't it time to get your site right?